Urge the Air District to Cut Toxic Refinery Emissions! 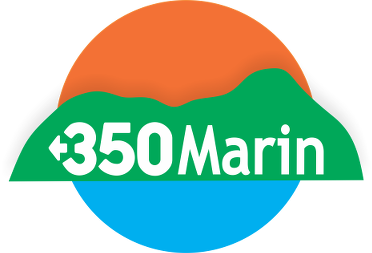 350 Bay Area and our 350 Marin Fossil Fuel Resistance Campaign is recommending approval of a new regulation (11-18) by the Air District to protect us from cancer causing toxic air contaminants like heavy metals, diesel PM and benzene. The regulation will first require the most highly emitting facilities like refineries to reduce their risk of causing cancer from the current level of 100 cases per million to 10 per million by 2020. Other facilities will have longer to comply. When adopted this would be the most health protective regulation in the nation for toxics and will cover about 1000 Bay Area facilities like chemical plants, foundries, hospitals, landfills, crematoria, sewage treatment and power plants. In spite of the generously long timeline to comply, the affected industries, led by Bay Area refineries, will strenuously oppose adoption of the rule citing the cost and inconvenience of meeting these new standards. They will likely attend in large numbers to argue for opposition or delay. Our support this action will be crucial to encourage the Board to do the right thing. Please join us to voice your support. The Board of Directors’ adoption hearing for the Toxics Rule is coming up on November 15 2017 at 9:45am at 375 Beale Street, San Francisco. If you would like a ride to attend, please contact Richard. richardgraysart@gmail.com. We will be leaving Marin about 8:00am.